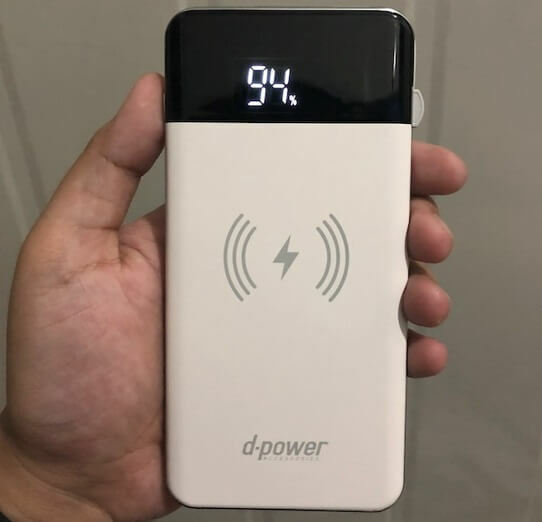 With its partnership with Cherry Mobile, Thai mobile accessories provider, D-Power, is hoping to penetrate the Philippine market and among its first products is a lineup of powerbanks. One of these is the ultra-slim S8+ wireless powerbank. 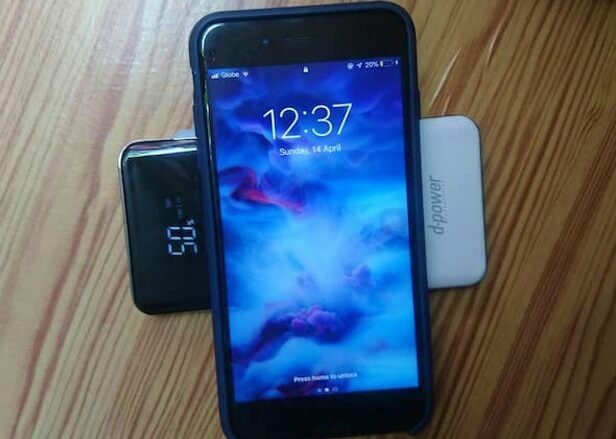 We had a chance to test out this product and see if it lives up to its promise, especially now that more and more gadgets that support wireless charging are popping up. So, without further ado, let check this one out. 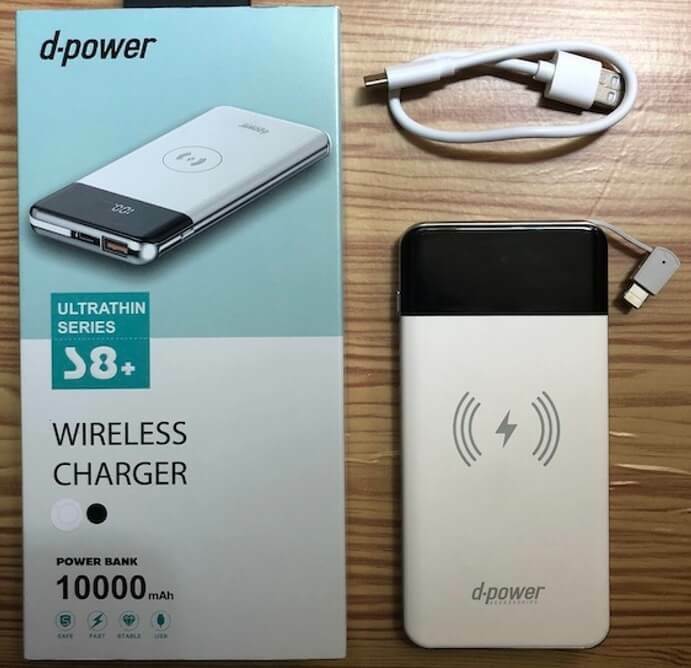 The box contains the unit itself and a USB Type-A to USB Type-C connector and unlike other brands, D-Power does not include any paperwork in the package, pretty much the same with the D-Power GC51L. This makes us believe that it is a standard packaging for D-Power external battery packs. The good news though, is that there is a lightning cable for Apple devices was built into the power core. We have the white variant, but the unit also comes in black. 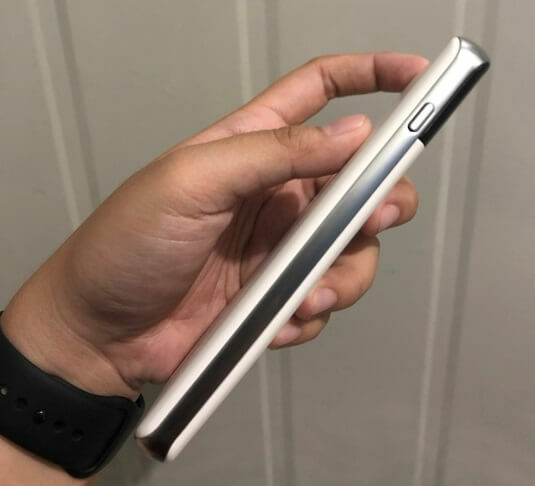 It is indeed ultra thin, measuring 138mm x 69mm x 12.5mm. It weighs only 252 grams. 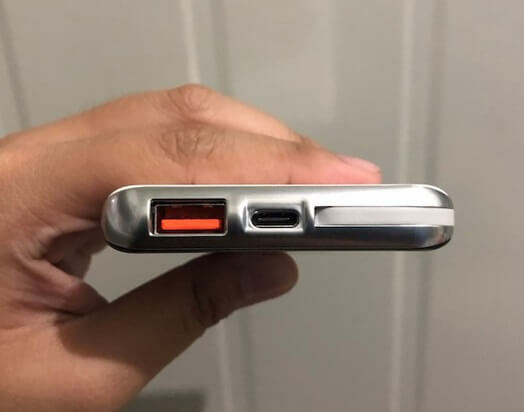 It is made of ABS and polycarbonate plastic with a lining of metal silver frame, giving it the sleek, classy look with the addition of an LED display housed in the top that indicates the remaining charge of the powerbank. You can also see how much Voltage and Ampere is being put out, as well as if it's supporting quick charge for your device. It can provide power to up to four phones simultaneously. In terms of performance, I personally got a little excited because of its wireless charging capability. However, I was let down because of the amount of time and power it took to juice up my iPhone 8 Plus (2691mAh battery). It drained before I even got a full charge, plus it took way too long - over five hours. There was also an issue with the heat, but the brand assured that the S8+ has a temperature control feature. 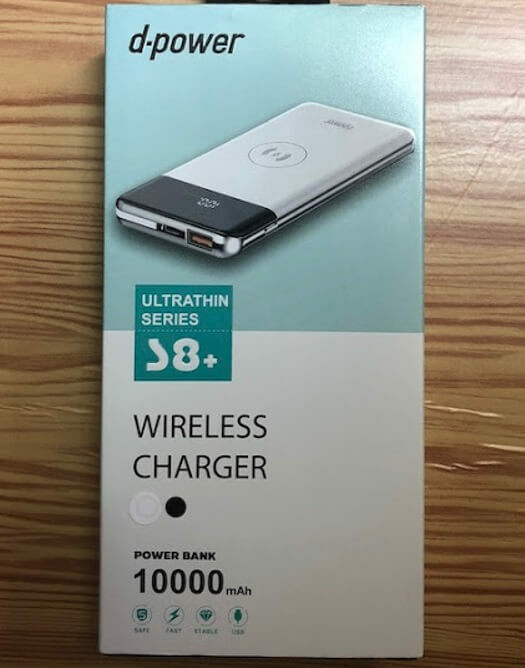 It did make up in the wired charging portion. It fell short of the promised 15-80% charge in just 35 minutes, but that can be blamed on the support for fast charging for my device. 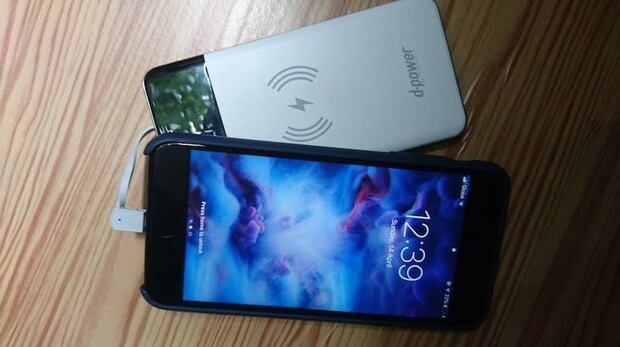 It actually promises compatibility with Qualcomm's Quick Charge 3.0 and Power Delivery 3.0. Two hours passed before my phone was fully charged. I also got two full charge, and even left a little bit for my wireless Anker earbuds. When we tried with an older Samsung device (2550mAh), it only took 90 minutes to give it a 100% charge. Meanwhile, charging the powerbank itself took about seven hours, but this might change depending on the cable and power plug used. It would have been tight if the S8+ lived up to its wireless charging capability, but it just doesn’t come even close to its competition in the market. There is still an appeal to it though, especially for devices like Apple that do not come with audio jacks, as you can still plug in your headphones while charging. But its redeeming factor lies in its quick charging capability for wired charging. Plus, it doesn't hurt that it is very compact and portable because of its slim and light frame. However, it may seem a little too costly for some at Php1,599.